Returned from LA last night. What an amazing, somewhat overwhelming, and fun trip! I have just begun a journey with Planet Yoga Teacher Training as a teacher trainer (mentor). Loved meeting all the "Angels" (as in Charlie's Angels; I know cheesy... who says you have to be such a serious yogi, anyway?!) while training with Leeann this past week. Earth Training was.... beyond my expectations. Although I have been practicing yoga for some time, really taking the time to review a select number of postures in detail with so many variations and adjustments was so refreshing. The tools given in this training allow me to tailor the class experience to meet the students right where they are at. What makes PY training stand out from my previous RYT 200 & 500 experiences is the theraputic approach that's taken. PY method lays the foundations of postures with safe alignment skills and weaves in an incredibly unique method to sequencing a class which I have not yet had in all of my training over the past 10 years. The method is a balance of logical and yet creative postures put together in a way that will encourages my students to begin to take their practice to the next level. Simply put: It's centered and well-rounded. It truly is mind, body, spirit in action. Leeann's personal vision of living yoga out in daily life is infectious. Her method and her teaching sets her apart. When I took my first training last year with Leeann, what I was most impressed by was her calm, yet direct way of communicating. Her thoughtful responses to inquires are out of her over 30 years of experience. In fact, I was so impressed, that I wrote her a hand written note and told her that I would work for her, for free! Ok, maybe that was a bit nutty, but to this day, the short training that I took with her over a year ago has changed how I teach: I see props in a new light, a creative tool to enhance the students experience. I see restorative or therapeutic yoga as a healing, non-intimidating approach that can be used in any style of class. And, finally, I know how to weave a theme such as in the chakras or even a simple meditation, in such a way that my class has noticed a renewed awareness of their bodies and minds. There's are trainings throughout the US and opportunities for studios to license the RYT 200 training or to begin a series of weekend trainings to complete a RYT 500. 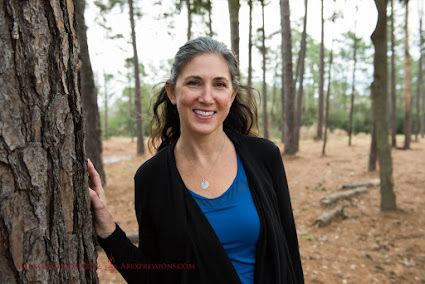 Leeann will be in my hometown, Houston for the Texas yoga Conference in February 2011. After we finished training, Chrys Kub and I rode bikes to Venice Beach to explore and people watch but ended up teaching folks on the street some yoga... see Chry's blog post and how we got some rappers shooting a video on the beach to do a few asanas.